What Is a VPN, and Why Do You Need One? In March 2017, the US Congress voted to allow internet service providers (ISPs) to sell customer data. Anyone in the United States who connects to the Internet must rely on an ISP. This means your ISP now has knowledge of all of your browsing habits. While ISPs claim they will use your Internet history to help sell you more relevant ads, the decision by Congress has made many people deeply uncomfortable. WiFi Hotspots Are Also A Risk? It’s not just ISPs who are after your browsing data and personal information. For example, whenever you login to a WiFi hotspot in a coffee shop or at the airport you are potentially putting yourself at risk. WiFi hotspots may not protect your data as it is transmitted to and from your device. Even worse, some WiFi hotspots may want to steal your data, such as browsing history or even passwords and credit card information. 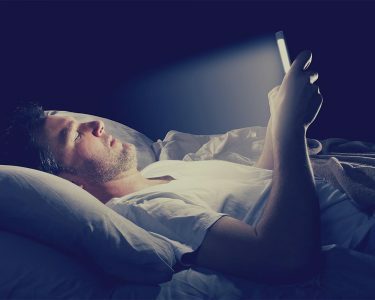 Luckily, something called a virtual private network (VPN) may help protect you from ISPs and anyone else who wants to snoop on your Internet habits. 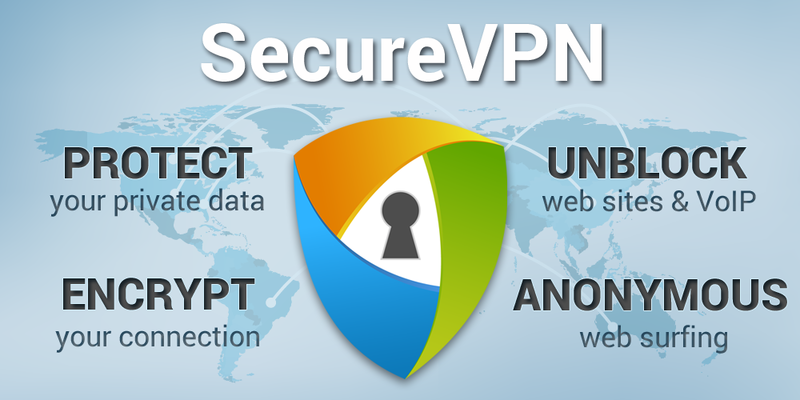 A VPN is essentially an online service that allows you to create a secure Internet connection. All of your browsing is encrypted, meaning that no one, including your ISP or even the government can determine what you are doing on the Internet. As mentioned, all of your browsing information is encrypted. This means that your ISP cannot sell your data to a third-party for advertising. VPNs also ensure that your passwords and banking information are kept safe, too. For example, many journalists and businesspeople traveling abroad use VPNs to protect their privacy. 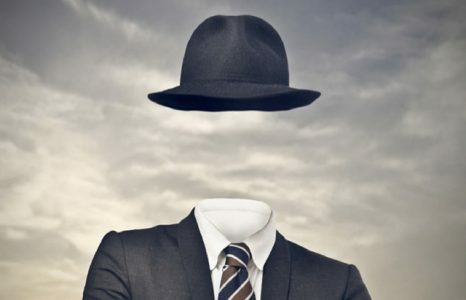 Businesspeople and journalists may also use VPNs just to be able to communicate. For example, the Great Firewall of China prevents Internet users from accessing many useful websites from outside of China. Many people rely on VPNs to access indispensable online services for their jobs. On the other hand, VPNs are also useful because they allow you to browse as though you were in any country. Many online content providers such as Netflix, Hulu and the BBC restrict access to content based on your country. You can use a VPN to get around these rules. 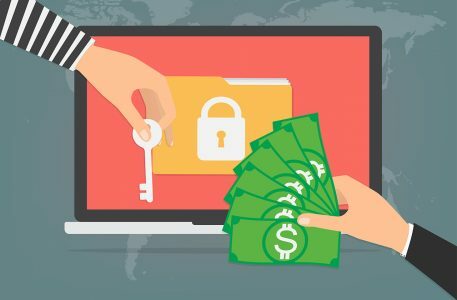 Not all VPNs are created equally, so it’s important to look for the right one before making a choice. If you want to use a VPN in order to watch online content such as Netflix, make sure it has enough bandwidth to do so. Generally speaking, this bandwidth is a result of investments in server capacity and other technology. Some VPNs have more than others. Almost anyone with a little technical know-how can setup a VPN service and then sell it to consumers. The problem for you is: how do you know they’re going to protect your data? Look for a VPN with a professional website and an active and responsive social media presence. And, if you’re really concerned with privacy, look for a VPN that has its servers in a country with strong data privacy laws. In countries such as the United States and the United Kingdom, government now has broad powers to access your data. Countries such as Canada, Germany and Switzerland have much stronger rules prohibiting government collection of personal data, so look for a VPN headquartered in one of those countries first. When Can a VPN Not Protect Your Privacy? Even if a VPN does not share your personal information, there are others who can. For example, Google and Facebook both use your profile data, which includes browsing history, to sell advertising. 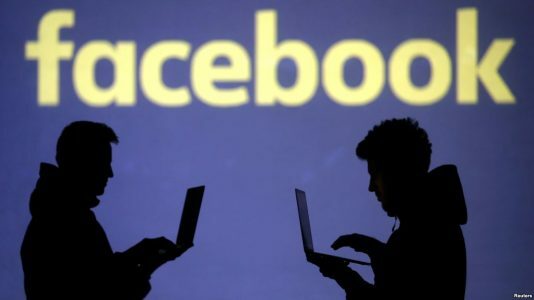 A VPN is not designed to prevent this from happening–protecting yourself from Facebook and Google’s efforts to collect data is best done using browser-based ad blocking tools. Also, keep in mind that you typically choose to use Google and Facebook because you agree to trade some privacy for the convenience of their services. However, since you pay ISPs directly, you should expect that your privacy be respected. But since ISPs and others are not respecting your privacy, it may be a good time to use a VPN. SecureVPN allows you to surf the web anonymously, unlock websites, unlock VoIP services, secure any wifi hotspot, and protect your data & privacy. SecureVPN operates a self-managed VPN network with at least 750 servers in 141 countries, with plans to add more. Since there are so many local servers, this means SecureVPN promises the fastest speed possible. SecureVPN also owns its own network–there are no third-parties that gather data, and SecureVPN keeps no logs of your activities. No 3rd Parties for Your Data: SecureVPN has a self-managed network. Your data is handled by SecureVPN only, without the intervention or interference of any third-parties. Military-grade Encryption: SecureVPN employs top-of-the-line military-grade up to 256-bit encryption to protect and safeguard user’s data from falling into the wrong hands. 750+ Servers in 141 Countries: SecureVPN has servers in 141 Countries. So, no matter where you are or where you travel to, SecureVPN will connect you to your favorite content. 99.99% Uptime: SecureVPN has its own network of servers and a team of highly professional experts who manage and host the network to guarantee 99.9% uptime. Powerful Software and Apps: SecureVPN wrote its own code for its proprietary software and apps for every major platform including Windows, Mac, iOS, Android, and Linux. Unlimited Data Transfer: Download, browse, stream or share, SecureVPN users are free to do whatever they want, how much they want since there is no bandwidth or data limit. Windows 10 is an amazing and powerful operating system that offers plenty of features most people don’t know about. We want you to get the most out of your computing experience! 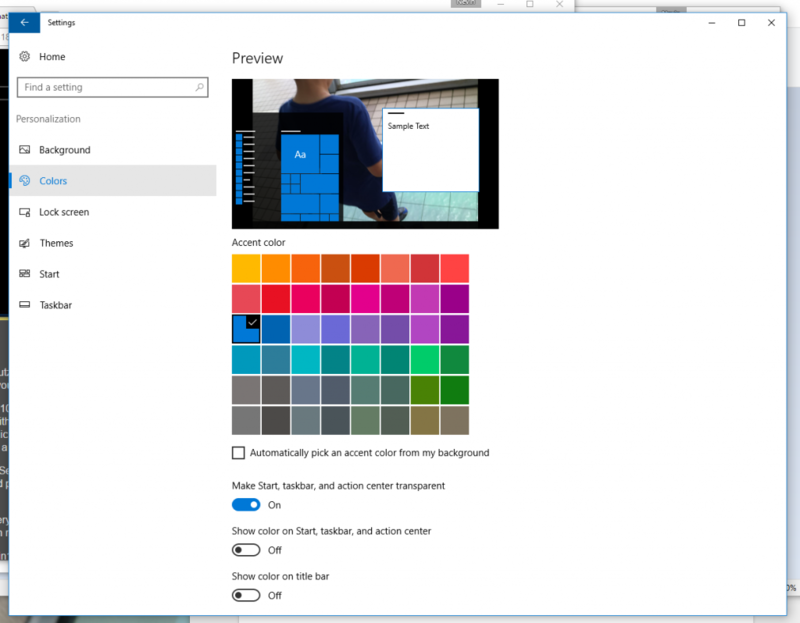 To this end we recently provided tips and tricks for Windows 10. We now include five more tips and tricks so you can take greater advantage of the latest Windows OS. You can think of a “restore point” as a snapshot of the operating system settings at a given point in time. Windows has the ability to automatically create a restore point before major changes are made to your computer. For example, when you get the latest automatic Windows update your system settings can change. Be aware, there are situations that arise where modifications, such as PC updates, can cause problems. You can feel safe in knowing that you have the option to rollback your system settings to any restore point. 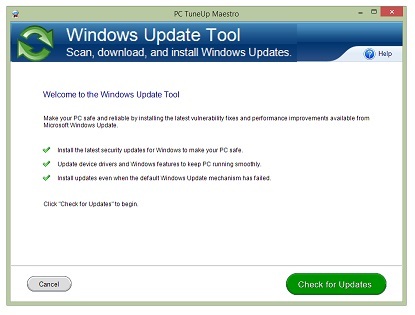 Windows 7 created restore points for your system by default – Windows 10 in some cases is not active. In fact, System Protection may or may not be turned on depending on how you installed Windows 10. We suggest you follow this easy tip to enable System Protection and have restore points created automatically. Right-click the Start icon and select “Search”. 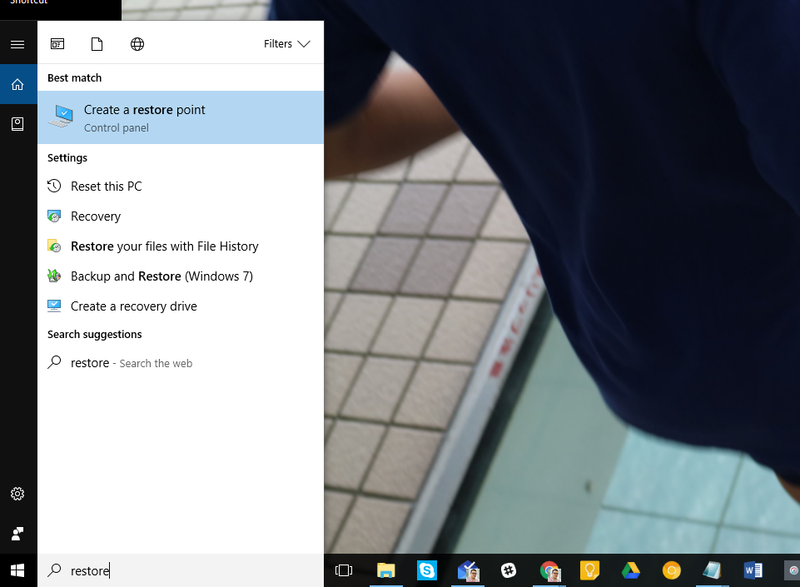 From the Cortana search box, type “restore point” and select the “Create a restore point” option as seen here. In the System Properties dialog that appears, click the “Configure” button and make sure “Turn on system protection” is selected. Click the “OK” buttons to exit the dialogs and you are done. We find one of the most annoying things about previous versions of Windows was that updates could be downloaded and installed at almost any time – with no warning. For those of us who need our PC running and don’t want to be interrupted with a restart, this was a problem. Now, with this tip, you can forgo any install updates during a specific window of time each day using the “Active hours” feature. Updates will be downloaded and installed when you’re NOT using your computer. 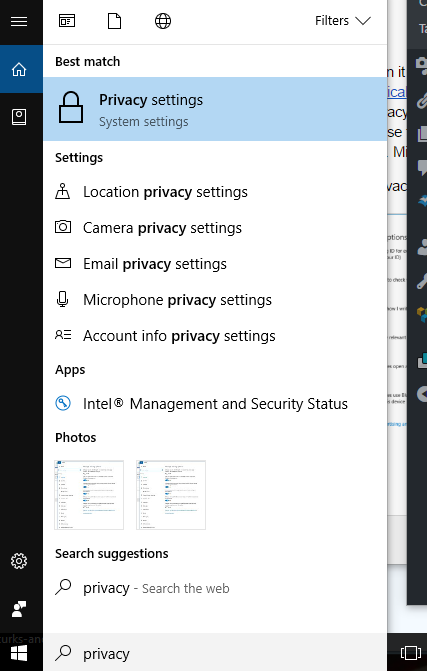 Click the Windows Start menu, select “Settings”, and then select the “Update & security” option. 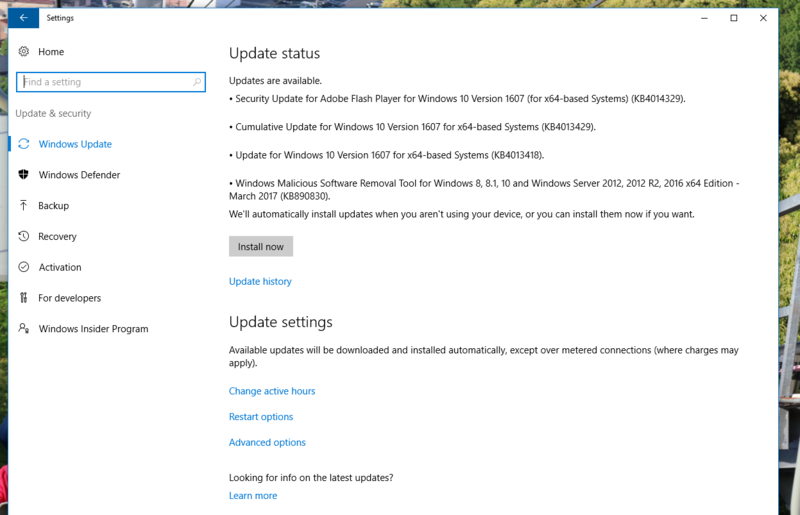 In the left panel, click the “Windows Update” option. As seen above, click the “Change active hours” option. You can adjust the Start time and End time by selecting the hour of your choice and clicking the check mark. When you are done, click “Save”. The start-to-end time window must be between 1 and 12 hours. The same Active hours are applied for every day of the week. The Windows 10 Active hours dialog states: “We’ll check to see if you are using this device before attempting to restart.” Keep in mind that in the Settings window you can choose “Restart options” to temporarily override the Active hours and customize a finish time for installing updates. Many Tech experts agree that one of the biggest causes of a slow computer is having too many processes at startup. More specifically, it takes longer for your computer to be ready for use if it has an excessive number of programs to load. However, as with earlier versions of Windows, you can control which programs you want to launch at startup. In the past, you might have used the MSConfig command. 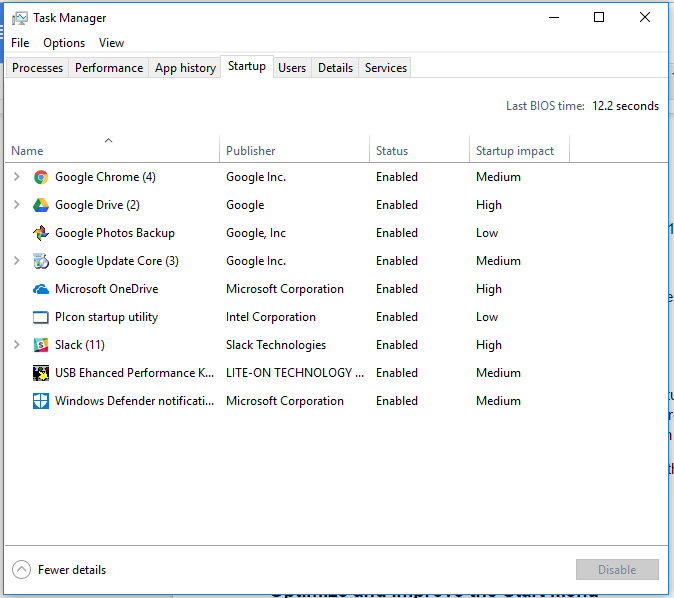 Luckily, Windows 10 provides a more direct path to the Task Manager and make changes to the startup apps. You can begin by launching the Task Manager. To do this, right-click on the Start button and choose Task Manager from the menu. You can also type in “Task Manager” in the search box. Once the Task Manager launches, click the “Startup” tab. This displays a list of everything that can launch when you turn on your machine. We advise to pay special attention to the “Status” column as not everything on the list is actually enabled. If an item it marked as “Disabled” you can ignore it as it will not be part of the startup sequence. If you see any apps that you don’t want to launch at startup simply right-click on the item and select “Disable”. NOTE: CompuClever makes it EASY to make alterations to startup programs with the “StartUp Management” tool available in PC TuneUp Maestro! 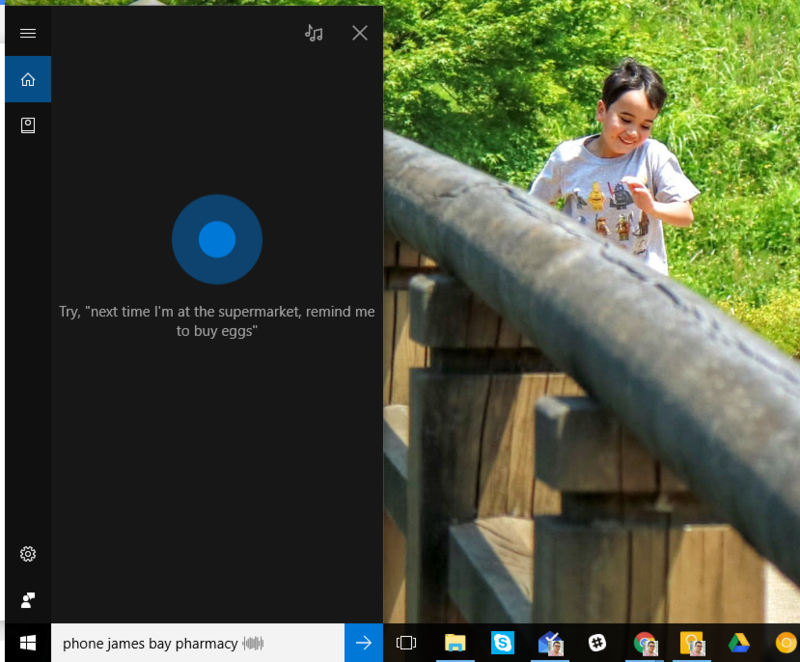 Many new users find Cortana to be one of the more interesting and advanced features included in Windows 10. Cortana is a voice-activated personal assistant similar to iPhone’s Siri provided by Apple. You can use Cortana to check the weather, set reminders, send emails, find files, search the Internet, and more. Cortana is an example of the great technological advances that have been done in voice recognition software. 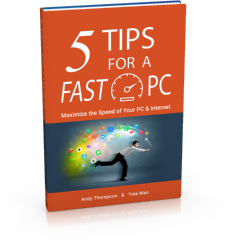 This might be the first time you use voice commands to do many of your regular PC tasks and you may find it easier and more efficient – especially if you want to muslti-task. You’ll also be getting a more “personal” PC experience. Cortana requires both a working microphone and speakers as well as an Internet connection. As mentioned, it can be voice-activated, but this means you need to allow Windows 10 to use your computer’s microphone to listen-in on your day-to-day activities. 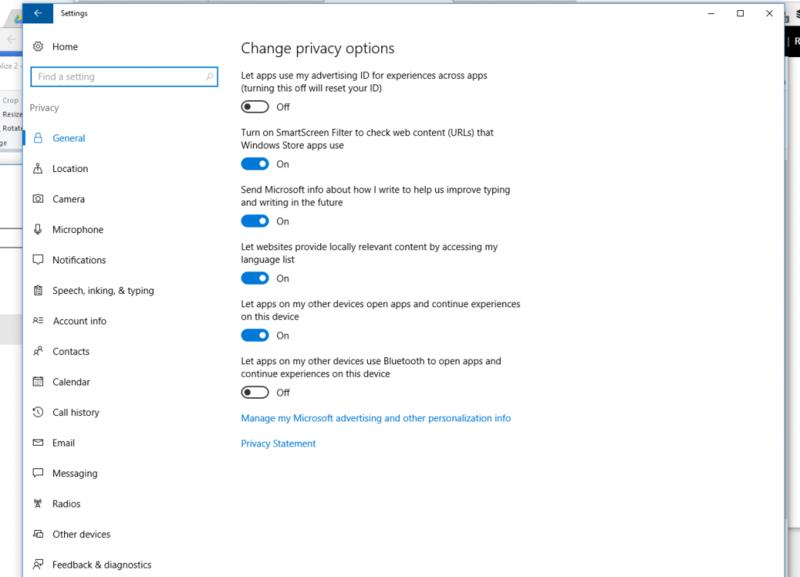 If this is more than you would like – you might want to look into how to turn Cortana on and off or avoid using it altogether. If you want to get the most out of Cortana, we recommend you check out: 15 things you can do with Cortana as provided by How-To Geek. You’ll be able to take advantage of Cortana’s ability to quickly come up with answers to calculations and conversions. 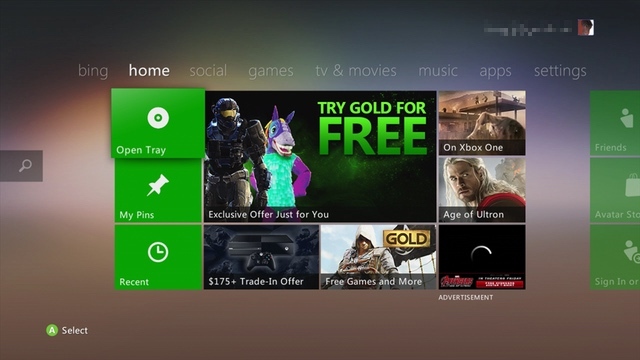 You can have Cortana track flights or packages. Or you can just chat or even get Cortina to sing, tell you a story, or a joke! Through the years Microsoft Office has become very comprehensive and powerful. There seems to be a toolbar for almost anything you could ever want to do with a document, spreadsheet or presentation. The problem however, is that on smaller monitors and devices the toolbar ribbons can take over precious screen real estate as can be seen in the image below. When you do this the ribbon is hidden. You can display the ribbon once again and pin it in place. You have to double-click on the name tab once again. 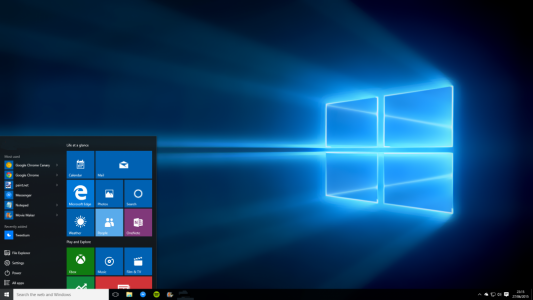 That concludes our list of 5 new tips for Windows 10. If you have Windows 10 tips you would like to share with us, we would love to hear from you. Please send an email to us at: newsletter@compuclever.com. In the meantime, stay tuned for more Windows 10 tips and tricks! 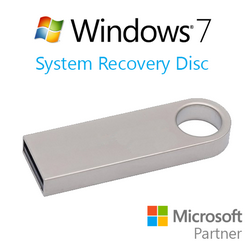 Do you have a Recovery Disc for your Windows computer? If you don’t, do you know how to get one? Most people have no idea how to set up a Recovery Disc, which could cause them big headaches if their PC ever develops a problem. If you have a flaky computer, a Recovery Disc can help by repairing Windows to make things run smoothly again. If you ever encounter a corrupted system file, a Recovery Disc will help you find it and fix it as well. 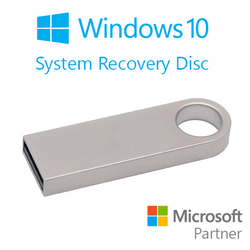 If Windows crashes and you can’t get it to restart, you can also use a Recovery Disc to restore your computer’s operating system. The best thing is by using a Recovery Disc you’ll be able to save all the data on your computer. 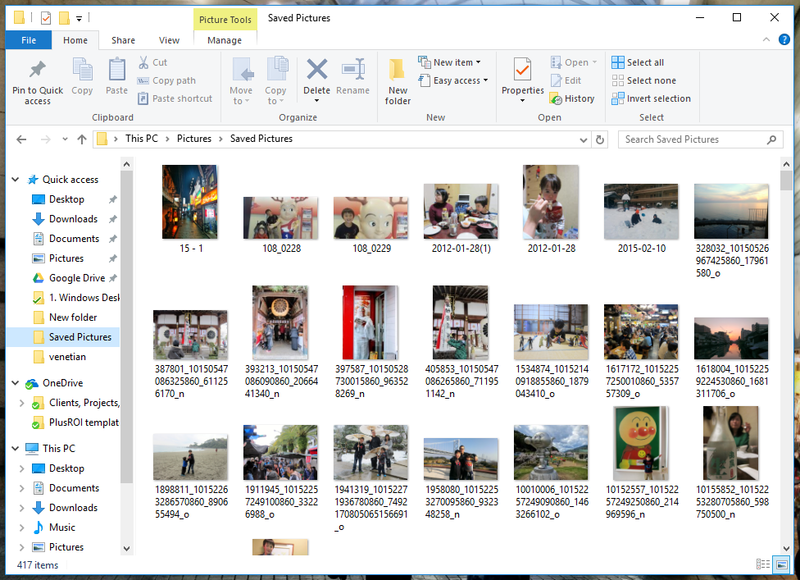 This includes Word documents and spreadsheets, your photo collection and your valuable photos and movies. In short, the Recovery Disc is a lifesaver that provides peace of mind. But, surprisingly, few people have access to one. In the past, when you purchased a Windows PC, you likely received a “recovery disc”– an actual compact disc – that you would use to troubleshoot problems and restore Windows on your computer. Over the years these recovery discs can be easy to misplace. If you ever need one in an emergency, they are nowhere to be found. Microsoft and most PC manufacturers stopped shipping Windows installation disc a few years ago – which is probably better for the environment. Windows 10 doesn’t come with a Recovery Disc by default – this can be a real problem if you run into trouble with your computer. 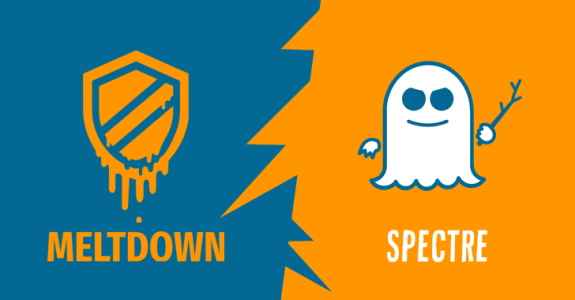 However there is a step-by-step process you can follow to download and create a Windows Recovery Disc for both Windows 8 and Windows 10, but if you want to protect your Windows 7 computer, you’re basically out of luck. Windows 7 has basically been “retired” by Microsoft, so a Recovery Disc with the full reinstall option is very hard to find online. On top of that, the actual process of downloading and setting up a full Recovery Disc with the option of reinstalling the Windows OS could take as long as a few hours! Imagine when you actually need a Recovery Disc, this could be a massive pain… but we have a simple solution. 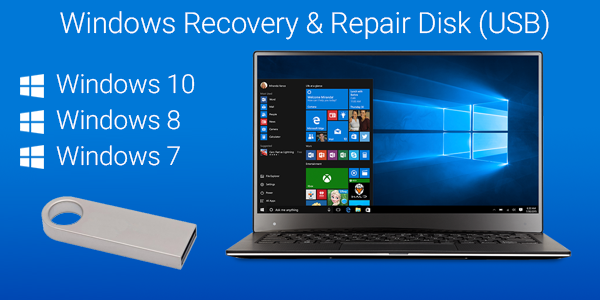 Our CompuCleverGEAR store offers Windows Recovery Disc for Windows 10, Windows 8, and Windows 7 for both 32- and 64-bit versions. Please select the right version for your PC. Having a Windows Recovery Disc ready by your PC provides you a peace of mind with an emergency plan for both your PC and your important files and data. Always be prepared and don’t be caught in the rain without an umbrella. You may have noticed that no two USB cables are created the same. Why does one USB cable seem to charge your devices more quickly than another? To help you answer this question, we’ve created this short guide about what to look for when you buy a new USB charging cable. Some USB chargers will charge your devices more quickly than others. However, your charger is not the only determining factor. The wrong USB cable can also slow down charging speeds. It all has to do with the gauge of the internal wires that make up your USB cable. “Gauge” refers to the thickness of the wires; the higher the gauge, the thinner the wire. Cheaper USB cables will often have thinner wires. Thinner, higher-gauge wires are obviously made with less material and therefore cannot deliver as much current – charging will take longer. This is because a thicker wire reduces electrical resistance and allows for a better flow of electrons. The length of your USB cable also affects how fast you can charge your device. For example, cheap, short cables may charge your device fairly quickly, while cheap, long cables could take longer. There are two common types or gauges of USB cables: 28AWG and 24AWG. Once again, the gauge refers to the thickness of the wire inside the USB cable. And, somewhat counter-intuitively, the lower the gauge, the thicker the wire–24AWG is thicker than 28AWG. So, a USB cable that uses 24AWG wire should charge your phone or iPad faster. Another fact to consider is most USB charging cables include both a data wire and a charging wire. Cheaper USB cables will be identified as “28/28”–this means the cable uses 28AWG wire for both data and charging. “AWG” is an abbreviation of “American Wire Gauge”, and is a standardized wire gauge used by electronics manufacturers. A 28/28 gauge will charge more slowly, while a 28/24 gauge cable, thanks to the presence of 24AWG, can handle up to 2amps. The maximum the 28/28 will provide is 500mAh which can be considered slow charging. And, as we mentioned previously, the higher the amps, the higher the flow of electricity to your device. 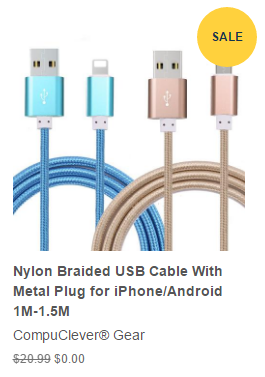 And the higher the flow, the quicker it can charge your phone or tablet. So, if at all possible, always look for a 28/24 gauge USB cable. The 24AWG will charge faster, and this is usually the kind of USB cable that is included when you buy a tablet or smartphone. 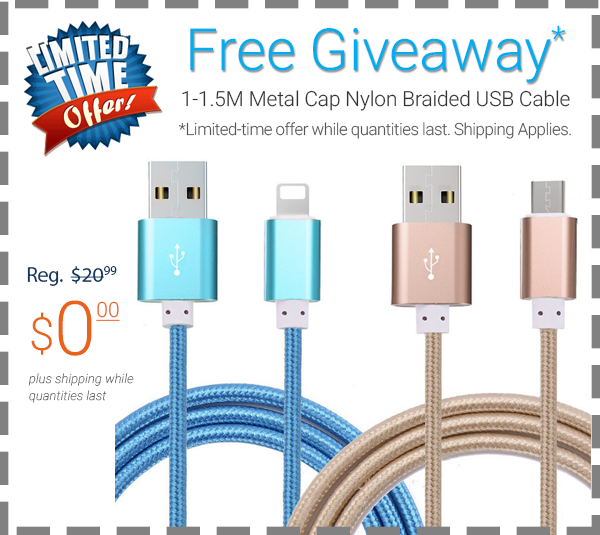 Regularly priced at over $20.00, this high-end USB cable is currently free – you just have to pay shipping + handling.